York Catholic and Kennard-Dale girls advance to District 3 semifinals. Cumberland Valley 10, York Catholic 8: Eli Doyle, Tanner Yanick and Steven Nigro each scored twice for the Fighting Irish as their team’s season came to end Monday night at Lower Dauphin. York Catholic was unable to keep Cumberland Valley’s Connor Ball from creating scoring chances for his teammates as he dished out five assists. The Irish finish the season with an overall record of 15-4. York Catholic goals — Eli Doyle 2, Tanner Yanick 2, Tommy Bowser, Steven Nigro 2, Eddie Smith. York Catholic assists — Doyle, Luke Brennan. Cumberland Valley goals — Clayton Miller, Stevie Peters, Jeff Hamlin, Mitchell Schalles 4, Jared Howe, Grant Travis. Cumberland Valley assists — Connor Ball 5. Kennard-Dale 18, Lancaster Country Day 9: Kennard-Dale advanced to the District 3 semifinals with an 18-9 win over Lancaster Country Day. The Rams will meet District 3 power, Manheim Township in Tuesday’s semifinal at Hershey High School. The Blue Streaks are the only team to win a District 3 title and enters the game 31-0 in district play. Emmie Dressel led the Rams with six goals and an assist while Morgan Bowings added four goals and Maddie Day chipped in with three. Clare Boone made 11 stops in goal. Lancaster Country Day goals — Grace Zechman 2, Lindsay Socie 2, Alexis Howe 2, Ashley Ingram, Katie Kolva, Taliah Carson. Lancaster Country Day assists — Zechman. Kennard-Dale goals — Emmie Dressel 6, Morgan Bowings 4, Maddie Day 3, Claire Gamache 2, Megan Halczuk, Kelsey Glenn, Gillian Zimmerman. Kennard-Dale assists — Halczuk 2, Hannah Bracey 2, Calie Swegon, Dressel, Day, Gamache. Shots on goal — LCD 20. KD 27. Goalies — LCD, Emma Stover (9 saves). KD, Clare Boone (11 saves). Hempfield goals — Sammy Helgeson 3, Taylor Nolan 3, Kathryn Kline 2, Victoria Mollitoe, Paige Diminick. York Catholic goals — Lindsey China 3, Lisa Casagrande 3, Anna Linthicum 2, Lauren China, Carlin Mayer, Sarah Mazzur, Kayleigh Pokrivka, Amanda Tufano. York Catholic assists — Casagrande, Pokrivka, Linthicum. Shots on goal — H 20. YC 19. Goalies — H, Kiaira Sumrall (6 saves). YC, Kirsten Lake (10 saves). Manheim Township goals — Maryin Bernhardt 4, Elizabeth Brown 2, Elizabeth Petrosky 3, Sadi Walker 3, Lucy Svetec, Hannah Wertz 3, Sarah Elias 4, Skylar Darenkamp. Manheim Township assists — Bernhardtt, Carolyn Mann 6, Petrosky, Elias. Susquehannock goals — Riley Roeder 3, Kenna Hancock, Emma Stiffler, Gena Speights 4, Maddie Ellis 2. 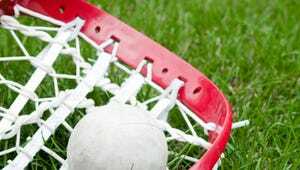 Susquehannock assists — Stiffler, Speights 2, Ellis, Kayla Held. Shots on goal — MT 32, Sus 17. Goalies — MT, Isabella Drolet (6 saves). Sus, Tess Clancy (11 saves).